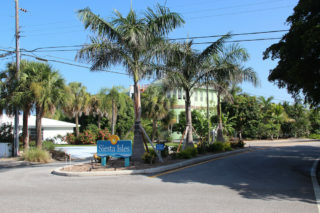 The Sarasota County Commission has awarded nearly $40,000 in Neighborhood Initiative Grant Program funds to help partially pay for neighborhood-initiated improvements. Amaryllis Park: historically oriented trolley tour narrated by local residents. The Arbors: upgrade to LED light fixtures. Devonshire Place: updated entry sign. Gulf Gate Garden Homes: updated entry signs. Myakka Valley Ranches: entryway updates, including signage and landscaping. South Poinsettia Park: decorative street/stop signs. Talon Bay: aeration of retention ponds. Valencia Lakes: shoreline plantings in retention ponds. The program, which has helped Sarasota County neighborhoods since 2002, requires neighborhood associations to match at least 50% of project expenses, the release points out. While some groups match funds through cash and donations, others opt to garner credit valued at $15 per hour of volunteer labor, the release adds. Projects can be proposed within one of five themes, the release says: character, leadership, safety, environment and health. The next round of Neighborhood Initiative Grant Program workshops will be offered this month and in January, with applications anticipated for presentation to the County Commission in June 2017, the release notes. Registration for workshops is required, the release adds. Dates are available on the Neighborhood Services website; visit www.scgov.net, and use “Neighborhood Grants” as the keyword. Anyone with a project idea for a neighborhood, or anyone who simply wants to learn more about the program, may register for a workshop by calling 861-5000 or emailing neighbor@scgov.net.